Synthesis can seem extremely daunting. When you open up a synth like Logic's ES2, you're confronted with a huge array of buttons, knobs and sliders whose function seems obscure at best. These tutorials guide you all the way from the foundations of synthesis to advanced sound design in 2hrs 35mins of HD video. These tutorials are now discontinued and are free to download. A short introductory trailer for the ES2 tutorials. Good for quick info on the contents of the three modules. Part 1 explains the layout of the ES2, and how its oscillators, filters and effects section can be employed to build starting points for your sounds. Part 2 covers the modulation matrix and explains using Envelopes, LFOs and Expressive modulation sources to give your sound the dynamic shape and sonic character you're after. Examples of House and Techno style sounds made in module 3, as well as one of the included Logic projects. Part 3 is where things really start to get interesting. Over the course of 18 sound design workshop videos, we look at making Basses, Pads & Chords, Fx and Percussive sounds. We’ll be using examples from modern electronic music styles to teach you a broad range of techniques. The tutorial pack also includes several Logic project files and 21 ES2 patches to study and adapt at your leisure. A look at the overall layout of the ES2, and then at the oscillators, filters and effects sections in depth. During this time the fundamental concepts of subtractive synthesis are explained. Here we look at Modulation, including Envelopes, LFOs and Expressive modulation. In addition we look at some of the more 'exotic' forms of synthesis that the ES2 can do. Where we get our hands dirty with practical workshops on building all manner of sounds. 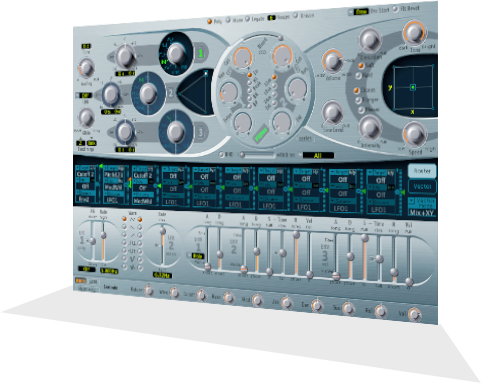 This module also includes 21 ES2 patches and some demonstration Logic project files. Bass Workshop 2 - Using envelopes & getting "fat"
I'm quite experienced on the ES2 but I must say that I have picked up a new thing or two already. The best thing about the tutorials are the design workshops. Those are awesome and really make a difference. The information provided helped me get a better understanding of how to get in and start making my own custom sounds. As a result, the ES2 has become my "go to" synth for all manner of applications.